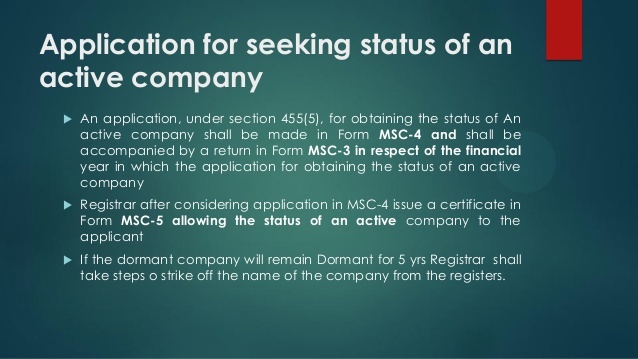 (1), issue a certificate in Form MSC-5 allowing the status of an active company to the applicant. 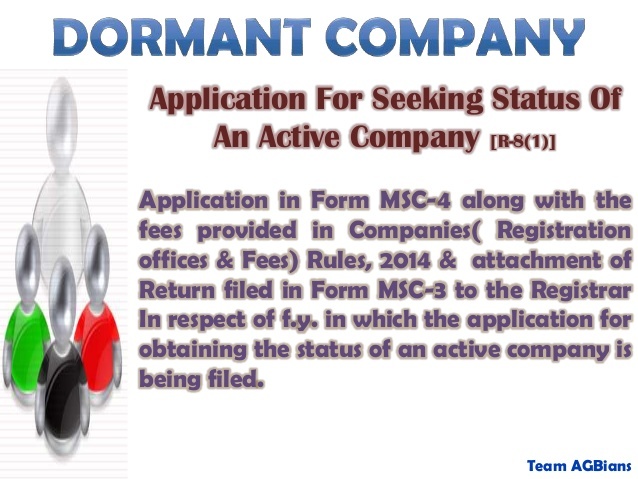 (3) Where a dormant company does or omits to do any act mentioned in the Grounds of application in Form MSC-1 submitted to Registrar for obtaining the status of dormant company, affecting its status of dormant company, the directors shall within seven days from such event, file an application, under sub-rule (1) of this rule, for obtaining the status of an active company. sir can you tell me for how many years of annual filing we have to do to get status of active company.. my client company was incorporated in 2001 and since 2001 no annual filing is done.